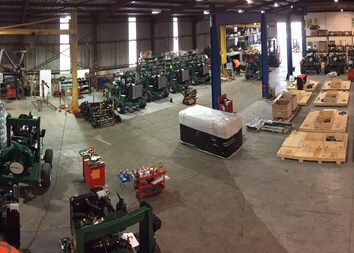 Pioneer Pump EMEA was the very first international factory opened by the company in 2001. Since then the factory has built almost two thousand packages and exported to over thirty countries throughout the region making it the Europe’s leading portable pump manufacturer. The company is the only European manufacturer that designs, manufacturers, rents and sells its own pump designs ensuring our customers get the highest quality pump available. The UK based division operates in the quarry & mining, industrial and wastewater markets where it has earned a reputation for building, rugged and fuel efficient pumpsets for the most challenging conditions and demanding applications. Considered to be the most economical and environmentally friendly pump on the UK market, Pioneer Pump EMEA continually strives to design innovative products, offer outstanding service and 24/7 support regardless of location and time. Contact us for more information about Pioneer Pumps.